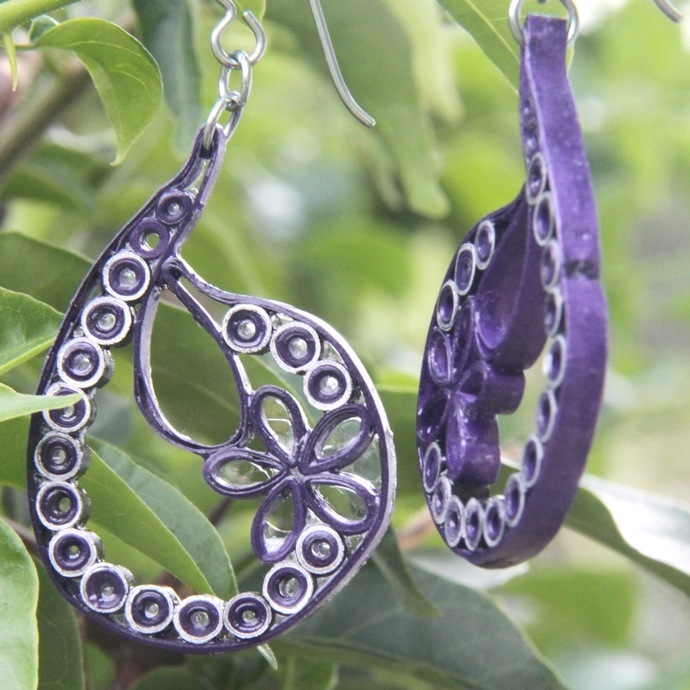 These fun paisley earrings are eco friendly and handcrafted by the art of paper quilling. 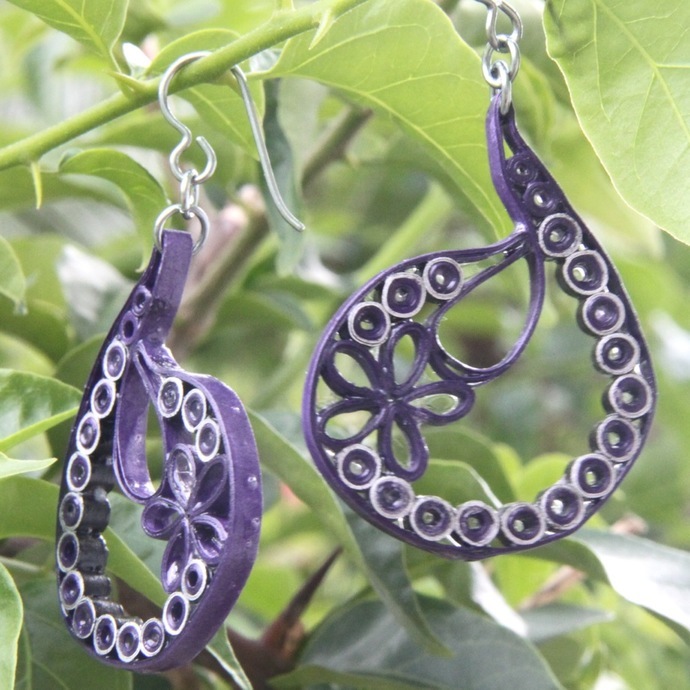 I use specialty quilling paper in dark purple and silver to create these one of a kind earrings. These will look awesome with either casual or elegant attire and are sure to prompt many compliments!